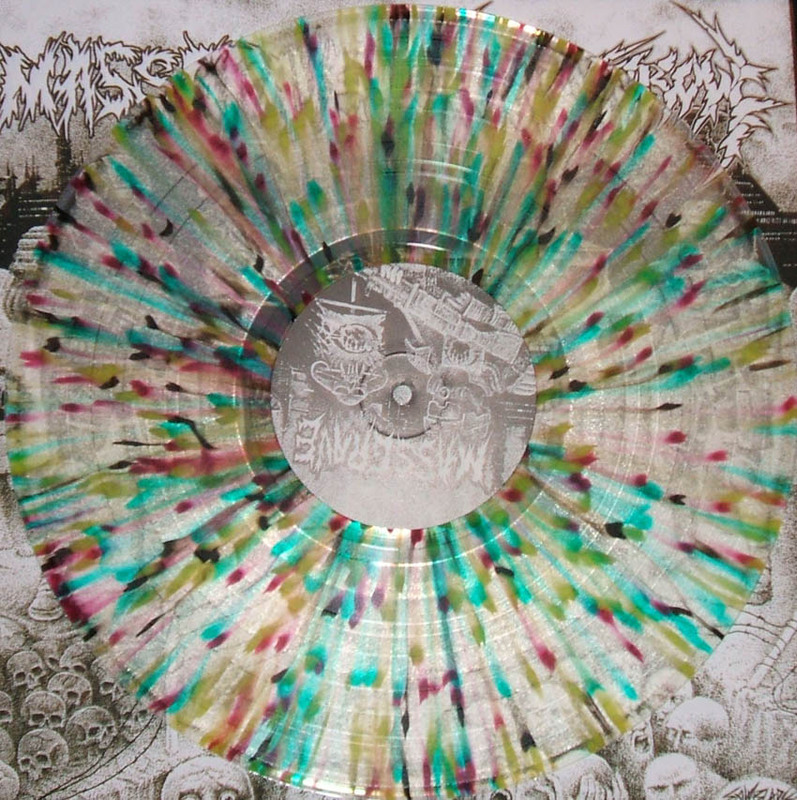 Mass Grave hail from Vancouver, Canada, and have been infesting the scene since 2004 with several records, and each one is always more brutal than the previous one. This is grind and even death metal fuelled crust, think of Disrupt crossed with a pneumatic hammer: fast, violent, heavy! Bay Area Stormcrow are one of the best stench-core (that's the way it's called nowadays) bands in the world, along with bands like Sanctum, Hellshock or Limb from Limb they have taken Axegrinder, Hellbastard, Prophecy of Doom, Amebix, Bolt Thrower, Deviated Instinct and more, swallowed them and then given birth to an even more brutal heavy sounding hellspawn! Comes in gatefold cover. 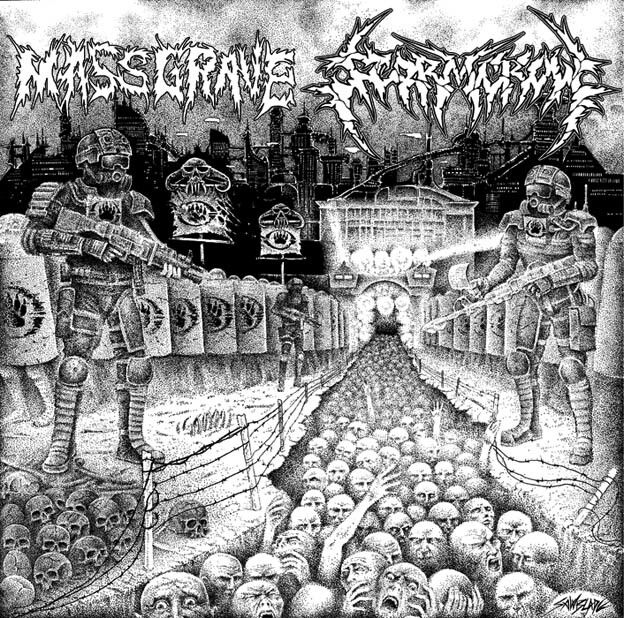 This split supports Mass Grave September 2008 Euro tour. 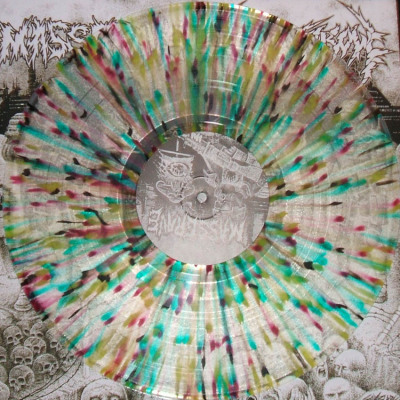 Limited 200 copies multicolor splattered vinyl edition available.